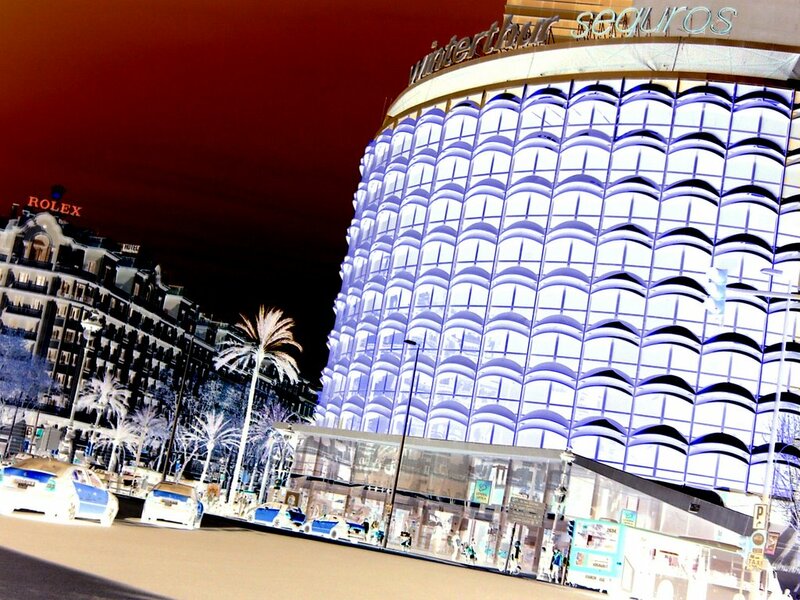 Today's image depicts Plaça Francesc Macia, one of the roundabouts of La Avinguda Diagonal . The building on the right built in the seventies used to be Winterthur's headquarters. This insurance company got rid of it three years ago and a luxury hotel is scheduled to open soon keeping the peculiar arches or shells of the façade. As the picture looked pretty standard I decided to select the building, saturate and tint the windows yellow, and then I inverted all the colors. wow, love what you did to this picture. Very nice! I love what you did to this picture - very interesting!! Ohlala, looks almost like an illustration. Interesting effect! Great digital work, i must visit Barcelona soon. The architects should take a lesson!